It’s official, I am a certified Beauty Techie! I usually go by “Beauty Junkie” but nowadays I go by ” Beauty Techie.” I have been reviewing amazing advanced beauty tools that are changing not only my beauty world but the beauty industry as a whole. I was beyond excited to try not one but two FOREO beauty products over the last couple of months. I first tried The Luna, a facial-cleansing device which combines T-Sonic pulsations to effectively cleanse the skin with a nonabrasive silicone brush. One of the features that The Luna offers is a clinical test that shows the Luna to be thirty-five times more hygienic than other cleansing devices. It’s important to my skin health to know that I am not adding bacteria to my face each time I cleanse. 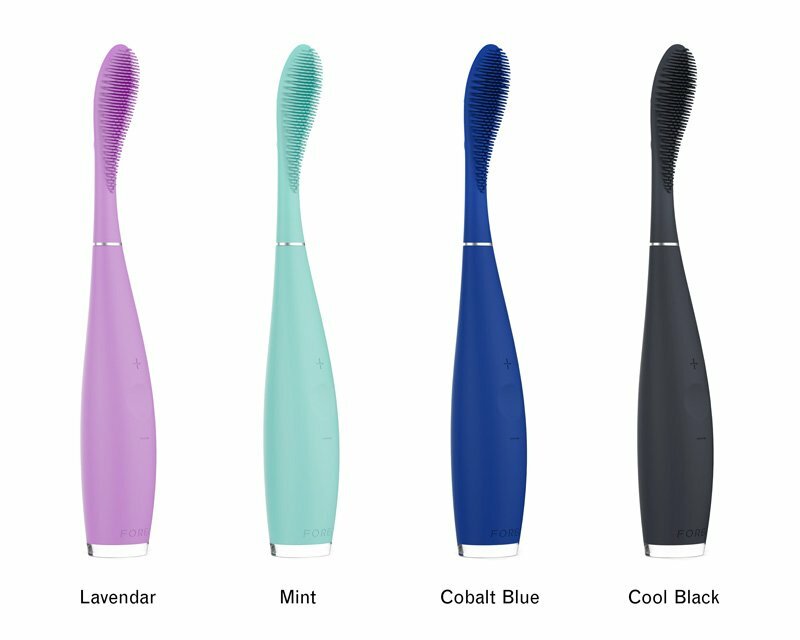 Most cleansing devices that use brushes harbor bacteria. This is the most gentle cleansing device I have used yet, it does give you a deep cleanse by removing dirt, oil and makeup residue. My skin felt incredibly clean, smooth and healthy. What is most important is my foundation went on like silk. It’s not only a mac-daddy cleansing device but also an anti-aging device. When you flip The Luna over you will find an anti-aging surface that reduces the look of fine lines and wrinkles-no other facial-cleansing brush offers. Next up I tried The ISSA, a stylish new type of toothbrush that uses silicone bristles with pulsation technology for both cleansing and a healthy gum massage. I had been using the Sonicare and wasn’t thrilled that the toothbrush head never felt like it was really clean even after I put it in the ultrasonic sanitizer. I have to say, it was a little strange brushing my teeth with silicone bristles but after about 4 days it started to feel normal. I don’t feel like the ISSA is rough on my teeth and gums. The Sonicare did feel like it was a little aggressive at times on my gums. I go into more details in my video below. 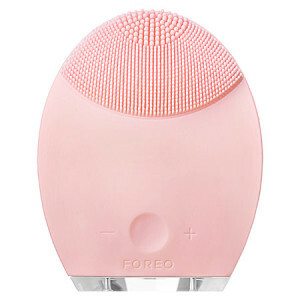 Overall, I love FOREO LUNA & ISSA advanced technology that keeps my skin and teeth looking radiant, healthy and younger. The FOREO is cutting edge, stylish and supports both healthy skin and dental hygiene with their new high tech beauty devices. I hope this FOREO LUNA & ISSA Review helps you.